It doesn’t matter if you’re a user chooser or you make your own car purchasing decisions; a BMW 320d is still the most popular sporty compact saloon in the region. We’ve already driven some of the more powerful versions and been impressed, but for this seventh-generation car to be classed as a success, this heartland version has to deliver. Even with the tide turning against diesel. The 3 Series is as important to BMW as it has ever been, and there is added significance to this G20 generation as it represents the first step in a series of forthcoming mid-sized products that will use the brand’s CLAR Cluster Architecture platform technology already debuted on larger models in the range. Following the 3 Series, the Touring versions, the next 4-series, the all-electric i4 and the all-important next M3 will all use the CLAR architecture. The result on this saloon is increased stiffness by as much as 50% in crucial areas and help towards a reduction in overall weight by as much as 55kg. Alongside the underpinnings shared with the 5 and 7-series BMWs, the new 3-series inherits the latest tech and infotainment from those cars. The 320d’s 2.0-litre, four-cylinder turbocharged diesel is the same unit found in the 520d – and the outgoing 320d – offering up 189bhp and a significant 295lb ft of torque. There’s a choice of a six-speed manual but the eight-speed automatic is likely to be the most popular option on account of its better emissions performance. There is also the option of xDrive to take power to the front wheels on demand, with a slight emissions penalty as a result. There’s no denying the seamless, rapid performance on offer from what will probably be a default engine choice for many. In automatic form the 320d can hit 0-100kph in 6.8 seconds compared to 7.1 seconds for the manual. It does so with a remarkable lack of fuss, thanks in part to the effective noise insulation and the efficiency of the eight-speed auto. It never feels short of torque, with the maximum 295lb ft available from 1750rpm, yet it also never manages to feel particularly rapid, such is the overall level of refinement. The 330d and gruntier petrols will inevitably deliver a bigger buzz, but the reality is that for most buyers the 320d delivers more performance than you could realistically need. Possibly more than any previous 3-series, the specification has a significant impact on how the car behaves. Specify an SE, Sport or M Sport model and you get the lift-related damper set up, which aims to reduce dive and squat during acceleration and braking without compromising ride quality. 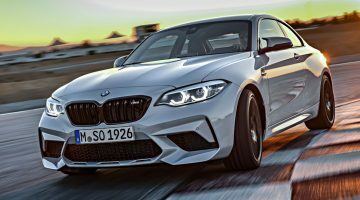 M Sport models ride 10mm lower on the passive set up, while the optional Adaptive M Sport suspension alters the damping within the various drive modes, selecting comfort, sport and adaptive settings as appropriate. 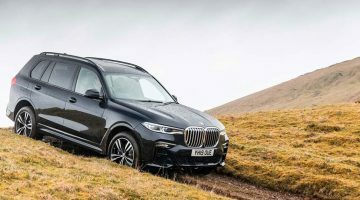 A standard M Sport model on 18-inch alloy wheels, with passive dampers as standard is composed but busy over less than smooth surfaces, picking out imperfections more readily than is ideal, especially considering the pockmarked roads. The trade-off is largely flat cornering and composure beyond reasonable expectation, even for a 3-series; this is a car that delivers beyond the performance on offer. Choose the optional M Sport Plus package and as well as better brakes, the adaptive suspension gives you a comfort mode that is softer than the standard set up and a sport mode that is harder again. That’s good news for everyday driving where the cleaner ride is welcome, although the stiffness of sport mode might mean it is used infrequently. The other nag is the steering, which is consistently weighted, quick and accurate, but short on feel. 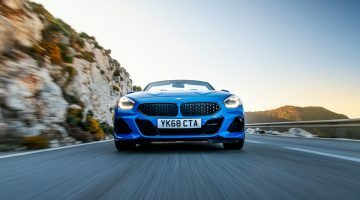 The push for refinement – and partially the thickness of the M Sport wheel – is to blame, but acclimatisation lessens the effect. WLTP may be biting but the 320d is still impressively frugal under the new tests. Official figures quote 5.3-5.1 L/100km for the eight-speed automatic with 110g/km of CO2 under the new regime, which represents almost a 10 percent improvement compared to the outgoing model. The manual version is fractionally more economical at 5.2-5 L/100km but CO2 is higher at 115g/km. The largely wholesale lifting of 5-series technology is largely good news for 3-series buyers. The Live Cockpit Professional system is standard, netting you a 12.3-inch digital instrument cluster, and 10.3-inch infotainment touchscreen with BMW’s Personal Assistant is also included. The latter might be a bonus depending on how much you use them at home, but the fitment of Apple CarPlay but not Android Auto may be an irritant to some. Purists may also prefer the classic dial layout, as the digital version adopts an ungainly shape to fill out the binnacle. The 3-series design progression has become almost Porsche 911-like in its unwillingnes to tamper with the secret formula. It might have numerous detail changes and what amounts to an all-new body, but it is unmistakable as a 3-series from 100 yards. The increasing size of the kidney grilles will provide fast-lane nightmares but the subtle creasing is more effective than on the bigger 5-series, and the multitude of wheel and colour options will keep you busy during the ordering process.